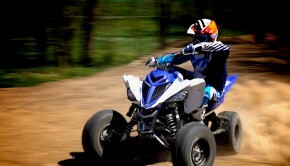 Yamaha’s sport ATVs top our list of most viewed videos! 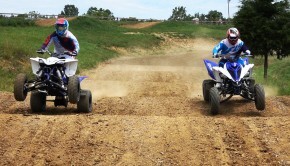 Cincinnati, Ohio – February 1, 2018 – ATV on Demand is celebrating our first one-million view video, “Yamaha Raptor 700R vs YFZ450R Shootout, Which is Best for you?”, a comparative video contrasting the top two performing sport ATVs available in dealers today to aid consumers in selecting the best new sport ATV for their intended use. 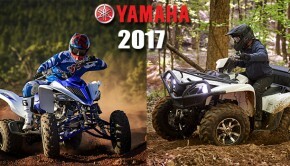 We would like to sincerely thank our over 30,000 subscribers first and foremost, all of you who took the time to watch, and Yamaha Motor Corp. for continuing to support the sport ATV segment. The shootout wouldn’t have been possible without the support of GBC Motorsports, Maxima Racing Oils, and Fuel Customs Intakes,; all sharing our passion for sport ATVs. “Before we began filming, we knew we were working on our first million-view title. As sport ATV fanatics, we are thrilled that the “Raptor 700R vs YFZ450R Shootout” was our first title to break the million-view mark. Surpassing all of our videos across the various segments we cover at ATV on Demand and UTV on Demand, we believe it’s indicative of the number of sport ATV enthusiasts there are out there and the level of passion that they have for the sport. 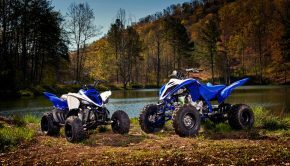 We are also glad we accomplished this for everyone at Yamaha, who have done more for the sport ATV segment than any manufacturer since the late 1980s.” Joe Tolle, ATV on Demand. 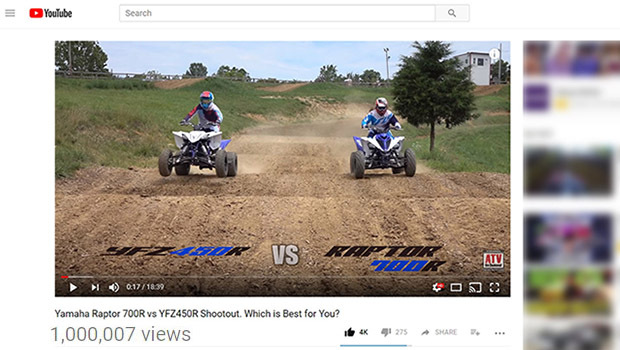 Along with leading to our next million view video, we hope the success of our “Raptor 700R vs YFZ450R Shootout” serves as a message to all ATV manufacturers that the sport segment is out there and hungry for something new. We believe a strong performing, price point focused machine is overdue. Along with covering 4×4 and youth segments, viewers can expect a lot more exciting sport ATV content, both modern and vintage, coming from ATV on Demand in 2018.